Under the H-3 visa, US companies and institutions bring in foreign temporary workers for training in an established training program for a maximum period of two years. These workers may otherwise qualify for a B-1 visa if salary comes from outside the US or a J-1 visa if under a J program. The spouse and children of the H-3 visa holder may accompany the worker under the H-4 visa. The training program may be in any field of endeavor, for example, the professions, commerce, agriculture or industrial activities. Nurses who have unrestricted license from the country of education, or are qualified to practice under state law, if educated in the US or Canada may receive training in H-3 status. Foreign medical students may qualify for externships on an H-3 visa as well. In 1990, H-3 visa regulations for foreign trainees in the field of special education were relaxed. Training programs in education children with physical, mental or emotional disabilities were exempted from the H-3 training program requirements. The H-3 petitioner, however, must be an organization with a trained staff and a “structured program for providing education to children with disabilities, and for providing hands-on experience to participants in the special education exchange visitor program.” In addition, the foreign trainee must have or will eventually have a degree in special education, or experience caring for disabled children. The maximum stay for H-3 Special Education trainees is 18 months and there annual H-3 visa limit is 50. The law prescribes four important requirements for an H-3 training program: first, it must not be available in the beneficiary’s home country; secondly, the beneficiary will not displace the regular employment of citizens and resident workers; third, the training will not result in “productive employment unless necessary”; lastly, the training will benefit the beneficiary in pursuing his/ her career outside the US. The USCIS will examine the training program to ensure it meets the above requirements by scrutinizing whether any of the following features are present. • It is designed to extend the total allowable practical training allowed a nonimmigrant student. If present, the above features would pose a risk to the H-3 petition. No extensions beyond the 2-year limit of the H-3 are allowed. 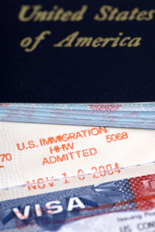 The H-3 visa holder may not change status to any H or L visa. Unlike the H-1B visa for specialty occupations, the H-3 visa holder is not allowed to have the dual intent of working temporarily while seeking to adjust to permanent resident status. Also, if the training program changes substantially from that for which the H-3 was approved, a new H-3 petition must be filed. Otherwise, if the trainee participates in the substantially changed training program, s/he will be in violation of his/her status and may be deported. The petition of the US organization or business establishment for an H-3 is made on Form I-129. 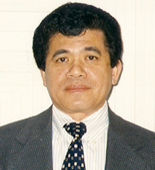 To allow the USCIS to examine whether the training program meets the requirements for the H-3 visa, the sponsoring organization must submit a statement describing the training program, and the supervision to be given, specifying the number of hours spent on classroom or on-the-job training; the amount of time spent in productive employment; the reasons for training the beneficiary and why such training cannot be obtained in the alien’s country; the amount and source of the beneficiary’s compensation, and the benefit that the beneficiary’s training will bring to the sponsoring organization.